This year as a charity partner with the New York Road Runners, the ALS Therapy Development Institute(ALS TDI) received five bibs for the TCS New York City Marathon. And although each runner may be running in honor or in memory of different people, they all have the same goal: to fund the research that will #EndALS. Learn more about why these five amazing runners are fighting to end ALS below! "Our nephew, Corey Reich, was diagnosed with ALS(Amyotrophic Lateral Sclerosis-Lou Gehrig's Disease) at the age of 21 while a junior at Middlebury College in 2007. Every minute of everyday Corey lives with the devastating effects of ALS without allowing ALS to diminish his positive attitude or love for life. Corey continues to coach Piedmont High School Tennis (both boys and girls); support his favorite baseball team- The Oakland A's and be a leader in fundraising and raising awareness for ALS-TDI. Corey's "can do personality" towards life serves as an inspiration for all. He is just awesome." "I run for my mother. I run for my sister. I run to fight ALS. I run for myself and I run for those who can't. To be able to run for ALS TDI in The NYC Marathon is a dream come true! It gives me the unbelievable opportunity to combine the great passions of my life, running and fundraising for ALS. 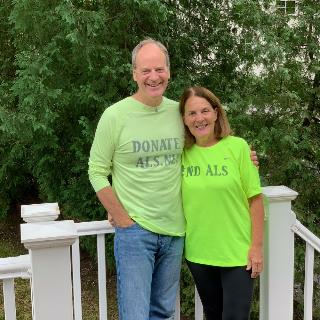 It's my goal to raise money for ALS TDI and fund research so that we can STOP ALS IN ITS TRACKS and END ALS ONCE AND FOR ALL!" "On Friday, June 22, I will begin a three-day, 270-mile ride from Boston, MA to Greenwich, CT. And on Sunday, November 4, I will run the TCS New York City Marathon. That's 296.2 miles total, and I'm covering all that ground in hopes I can convince you to join me in supporting ALS TDI, the leading biotech seeking a cure for ALS. " "In December of 2009, my Mother, Donna McNeice, developed symptoms associated with ALS. The disease was misdiagnosed until June of 2010. 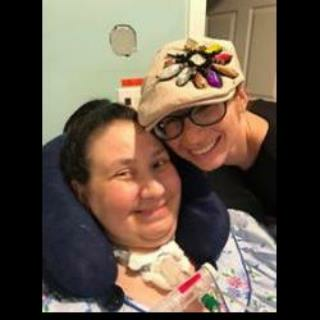 On December 17th, 2010, my mother lost her battle with ALS. Ever since that time, I have become an advocate for ALS Awareness. Since my Mother passed away, I have met so many wonderful people that have also been struggling with the dreaded disease. John Keator, Michael Lopez Jr., Bob O'Neil, Mary Cioto, Paul Dowd, Doug Tremlett, Carey Hinkley, and Carol Nichols have all also lost their battles with ALS. 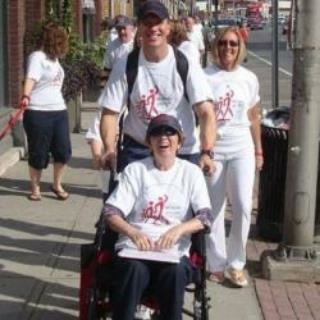 I run marathons in memory of these wonderful people that I call my ALS Warriors." Our announcement video from when our runners were selected in April! Want to support our runners on their mission to end ALS? You can donate to the team or their individual pages here. To learn more about running for ALS TDI at an event near you, you can email events@als.net.